The Glasgow underground metro line was first opened in 1896, making it the third oldest in the world. It is officially known as the Glasgow Subway, reminiscent of its original title as the Glasgow Subway Railway. It runs in a 10.5 km loop north and south of the River Clyde. All of the Subway stops are underground, so while not ideal for taking in the sights of Glasgow, the subway is extremely practical for getting around and trains run every 4 minutes at peak times. The circuit of 14 stations takes just 24 minutes to complete and the price of tickets is affordable. 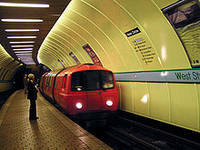 Many of the Glasgow underground stops are located at places of interest for visitors, including Hillhead, serving the Botanic Gardens and the University of Glasgow, Kelvinbridge for Kelvingrove Park and Cessnock for the Glasgow Science Centre and IMAX cinema. Bridge Street station is close to the O2 Academy and Ibrox is convenient for the Ibrox stadium. There is even an event, known as The Subcrawl, which involves participants buying a one-day discovery ticket for the Glasgow Subway, disembarking at each station and enjoying a drink at nearby hostelries. This activity is popular among young Glaswegians and university students. 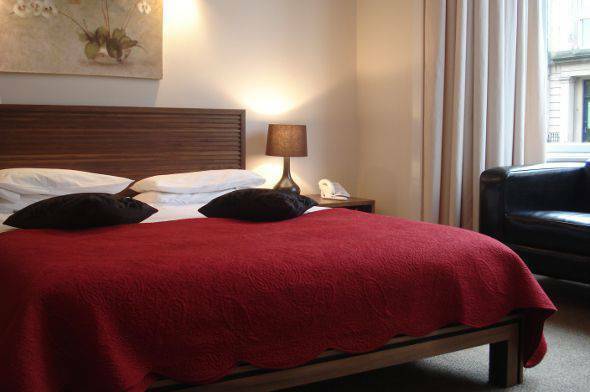 Conveniently located for all forms of public transport in Glasgow, including the Glasgow Underground, is The Sandyford Hotel between the West End and the City Centre of Scotland's largest city. Our 3* hotel offers visitors a choice of 55 comfortably furnished bedrooms, with en suite bathrooms, free Wi-Fi access and tea and coffee-making facilities in every room. Our affordable B&B prices include a full Scottish breakfast and there is a member of staff at reception 24 hours a day for your comfort and convenience. To make a booking enquiry at The Sandyford Hotel, please fill out the booking form on this website. It is also possible to book directly online. If you have any questions about availability or the reservation process, simply call us any time on (+44) 0141 334 0000 where one of our reception staff will be delighted to answer your queries about hotels near the Glasgow Underground.